He’s played a pirate captain, a mad hatter, and the demon barber of Fleet Street, but now Johnny Depp (Black Mass) will play the titular character in Universal’s The Invisible Man according to Deadline. The film follows Dr. Jack Griffin who turns himself invisible and loses his sanity in the process. He is a part of Universal’s larger plan to bring back their monster franchises as a shared universe. The studio is also working on a reboot of The Mummy starring Tom Cruise (Mission Impossible: Rogue Nation). Other monsters in the franchise include Frankenstein’s monster, The Phantom of the Opera, The Hunchback of Notre Dame, Dracula, The Wolfman, The Creature from the Black Lagoon and the Bride of Frankenstein. The monster hunter Van Helsing will also be part of the shared universe. Depp most recently earned plenty of acclaim for playing gangster James ‘Whitey’ Bulger last year in Black Mass and will be seen next in Kevin Smith’s horror comedy Yoga Hosers. This year, he will also return to play the Mad Hatter in Alice Through The the Looking Glass and has an uncredited role in the mystery London Fields. 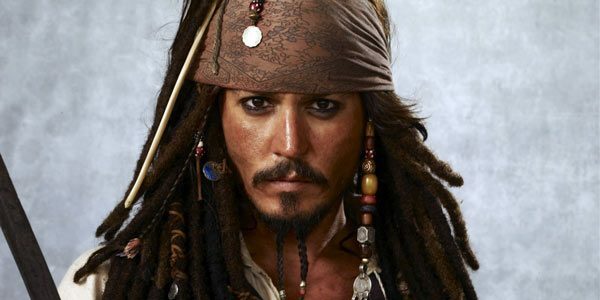 Depp is currently the only talent attached to the film with Alex Kurtzman and Chris Morgan producing the film and no release date has been set at this time. The film will likely release after The Mummy which is set for March 24, 2017.